The design process commenced with a walk of the site and a detailed site analysis involving consultation with the numerous user groups. 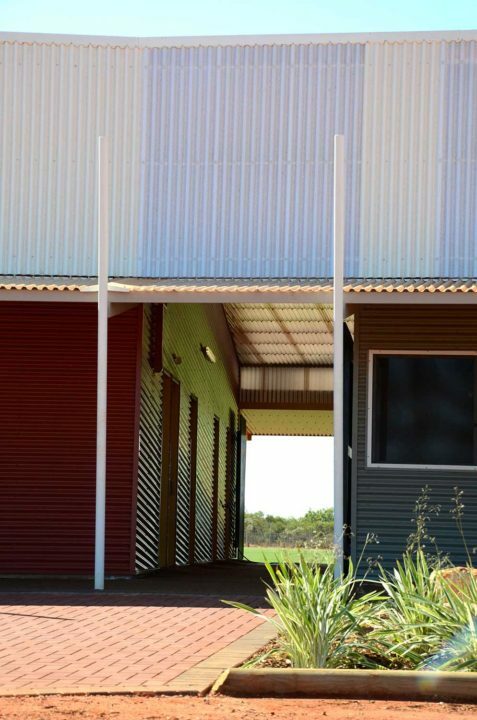 Design cues were drawn from the rich colours of the landscape, passive environmental responsibility and the cultural diversity of the users. 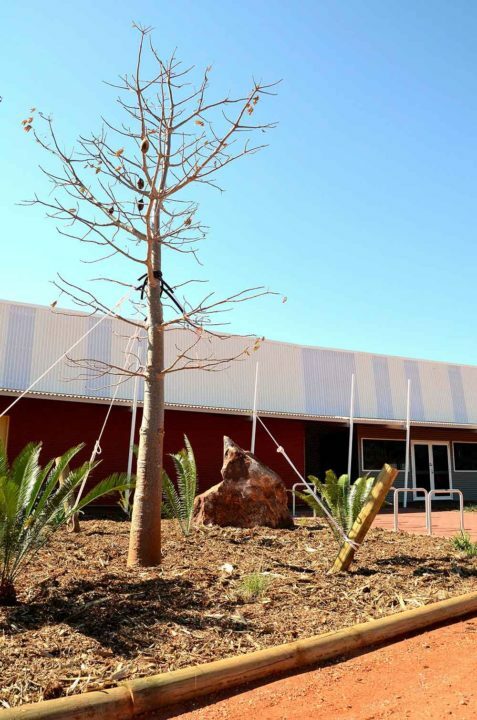 The slender round columns are proposed to be an artwork canvas to be painted by the local indigenous youths, instilling a sense of ownership and community pride. 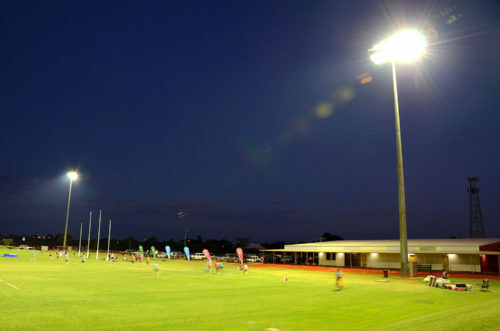 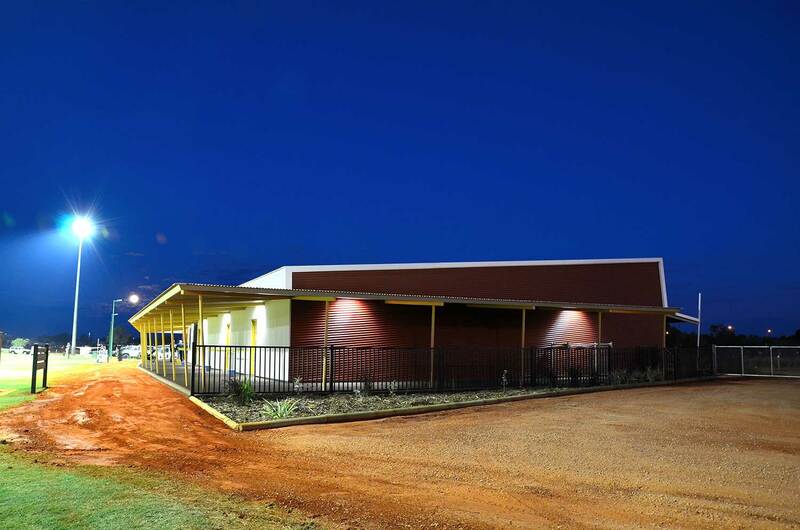 With the minimisation of maintenance a priority, we designed a new pavilion for the playing fields at the existing Broome Recreation and Aquatic Centre (BRAC). Master planned to allow for future expansion to accommodate a function hall, the pavilion features a kiosk, meeting room, separate change rooms, toilets, sporrs stores and space for umpires, first aid and administration. 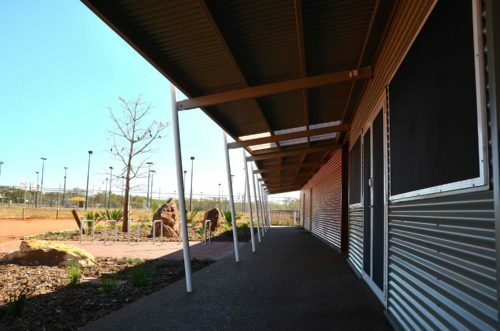 Four metre deep verandahs wrap around the west, north and eastern elevations to shelter spectators and the building from the harsh Kimberley sun. Using a simple building language in keeping with the existing BRAC, the free standing pavilion enables multiple user groups to access the facilities with minimum crossover. 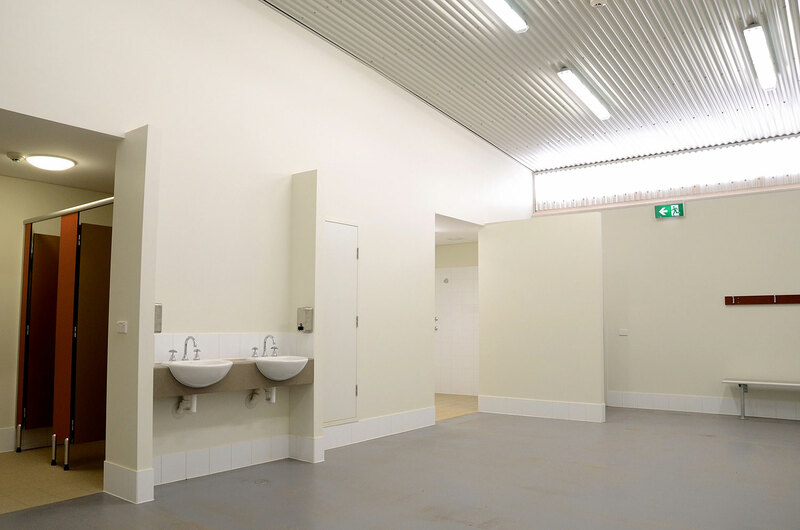 Sustainable design principles such as orientation, natural light, air quality, passive ventilation and material selections reduce running and maintenance costs. With a view to minimise vandalism, columns at the entry were painted by local youths to give them a strong sense of ownership.